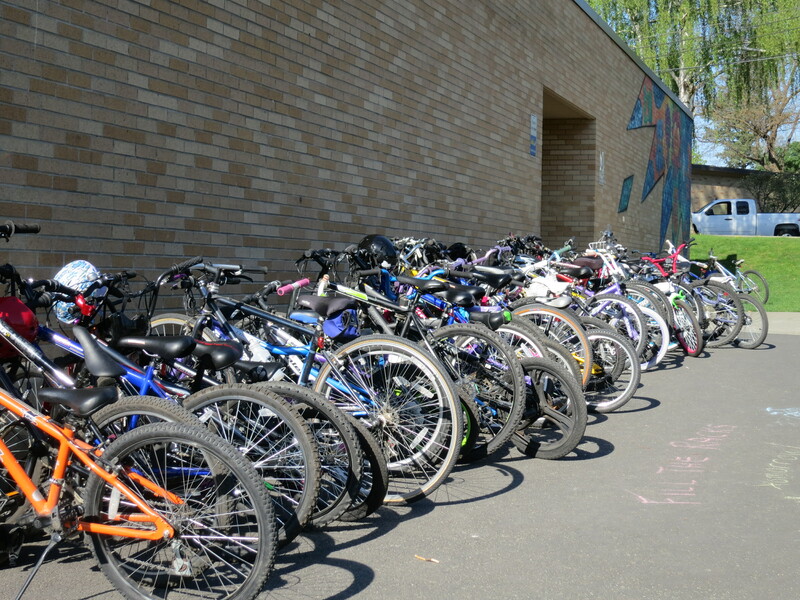 This is our tenth year celebrating National Bike Month in Moscow, Idaho. We call ourselves Bike for Life since biking is a great way to travel all year long and at every stage of life, not just in May. See the contact page for more information about volunteering to help with events and planning. Thursday, May 3, all day, UNIVERSITY OF IDAHO FILL THE RACKS, all UI Students, Staff & visitors. All are encouraged to ride bikes to campus and fill the racks! Monday, May 7 & EVERY MONDAY, 5:20PM, STRONG MONDAY MOUNTAIN BIKE RIDES, Rolling Hills Bikes at 113 East 6th Street. Meet at Rolling Hills Bikes each Monday for a mountain bike ride and see Rolling Hills Bikes Facebook page for weekly details. Saturday, June 2, 10:00AM – 2:00PM, OFFICER NEWBILL SAFETY FAIR, Eastside Marketplace. The safety fair includes bicycle safety training for kids and helmets for those children who need one. Other services provided include: distribution of child identification kits, water safety tips, and child car seats inspections. Come to the Eastside Marketplace, enjoy the free services and food, and learn about kids’ health and safety at this outstanding community event. For more information contact Jon Kimberling at 208-882-4414. See you on the streets…and please remember to wear your helmets!